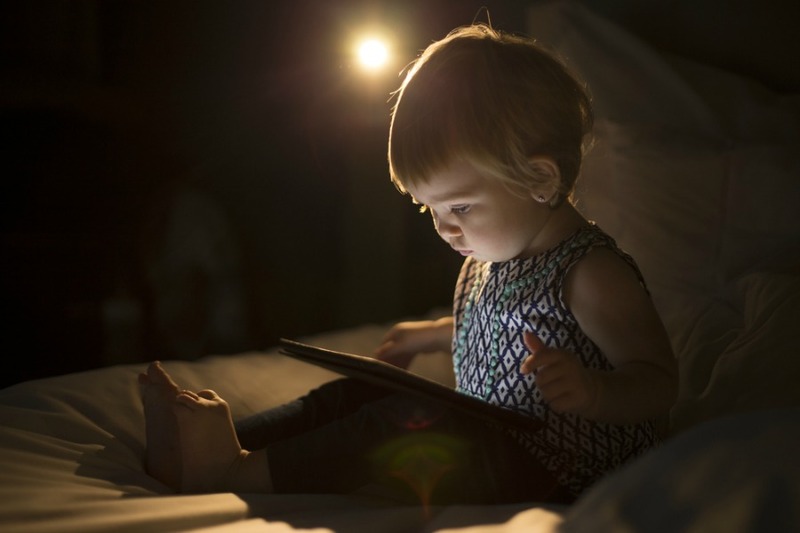 If you’ve got toddlers on screens during the day, a new study out of England suggests it could be cutting into their sleep at night. And as we parents know, sleep is a precious commodity. Looking at data from about 700 British families, researchers discovered that kids between the ages of 6 months and 3 years who spend more time playing with touch-screen devices during the day got less sleep at night compared to kids who used touch screens less often. And, they took a lot longer to fall asleep too. Double whammy. With so much research on screen time focused on older kids and teens, it’s fascinating to see the results of a study focused directly on young kids. And while the reason why it affects their sleep was not studied, nor the effect of the lack of sleep on their overall health, they can infer based on other studies of older kids: it cuts into their actual sleep time because they’re on the gadgets, and it stimulates their brain making it harder for them to relax and calm down at night. What’s interesting is that the AAP recently lowered their screen time age, stating kids 2 to 5 years should limit their screen time to one hour. So, it will be interesting to see how these findings, and what are sure to be more studies to follow, will affect their standards. And parents, well, is that one hour so you can shower and pee alone worth the sleep they may (or may not) lose? We’ll let you decide that one.